Nashville Comes to Carrabelle August 15 and 16, 2014! Franklin County is in for a treat this weekend, when “Nashville Comes to Carrabelle” takes over Fathoms. During this event, Fathoms is partnering with Dan Hodges, Music, LLC to present two evenings full of great music, performed by writers whose work has made it to the stage via some big names. The event is Free. It begins at 8:00 p.m. each night (Friday, August 15 and Saturday, August 16). There will be two sets each evening that will feature all artists performing original material. The third and final set will be all of the artists performing cover material while you dance! Quinn is a Nashvillian born and bred. In addition to his songwriting, Quinn has toured and played behind artists such as Little Big Town, Charlie Worsham, Payton Rae, and others. The highest charting top 40 hit he has written is “Want Me Too” for Charlie Worsham. Here is Katie Armiger performing Trail of Lies, one of the songs he wrote. Rick is a native Tennessean. 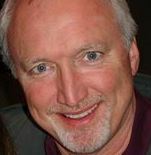 Rick won “Best Song Award” and honorable mention from the West Coast Songwriters Association. His songs have been performed by Jared Porter (Good Side of Crazy) and Julie Myers (Your Eyes Are Telling on You). His song “Beach Down in the Islands” was featured on CMT’s “Cowboy U” reality program. Great music, great food (and beverages of course! ), in the most laid back and enjoyable of places. Nashville in Carrabelle … put it on your calendar! 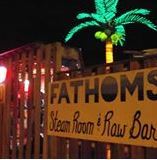 Fathoms is located at 201 St. James Avenue, Carrabelle, FL.